With the summer season at its peak, we all are struggling to keep the skin looking fresh and healthy. I needed a new scrub for my “oh! So oily t-zone” when I came across this scrub. 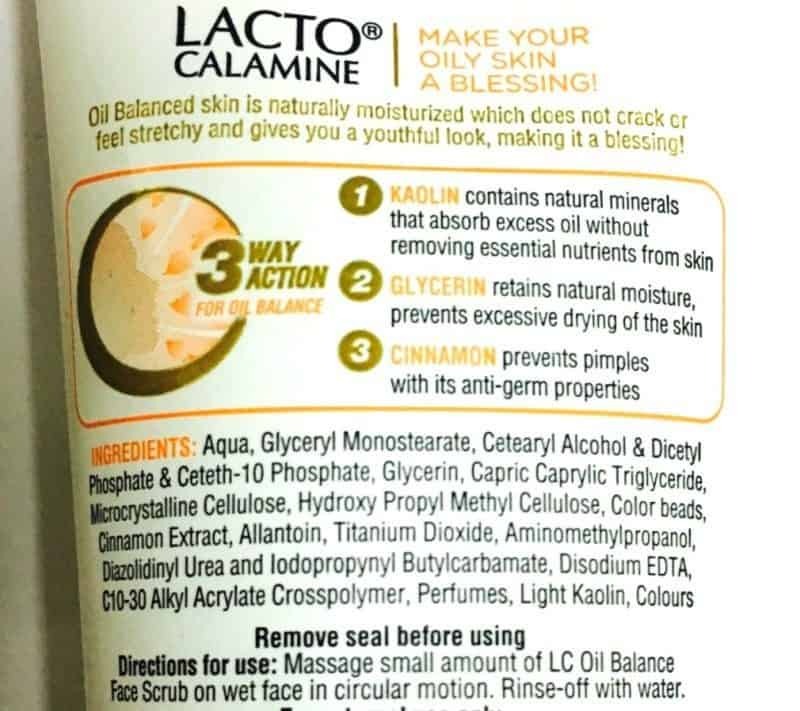 It is the LACTO CALAMINE OIL BALANCE FACE SCRUB; yes it is a new face scrub from my very trusted brand lacto calamine. I knew the moment I saw this that I have to try it, so without any further due let’s get into the detailed review. 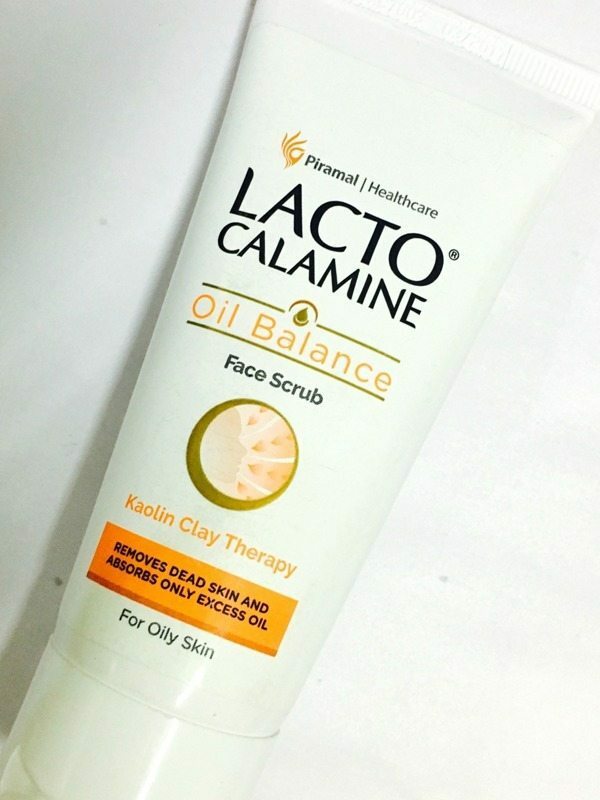 Lacto Calamine Oil Balance Face Scrub helps remove dead skin and absorbs only excess oil, which when used twice a week gives beautiful glowing skin. 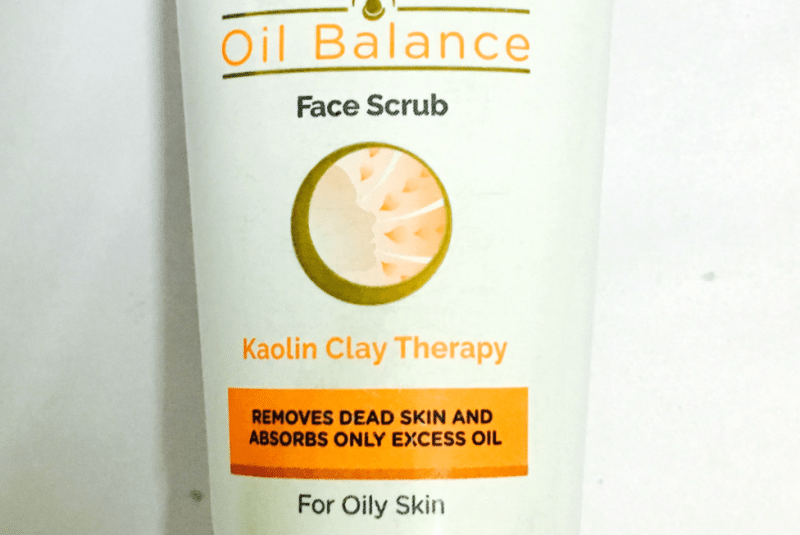 Kaolin Clay absorbs excess oil without removing the essential nutrients from the skin, Glycerine retains natural moisture in the skin and Cinnamon extract helps in preventing pimples by its anti-germ properties. I wanted a face scrub which is mild on the skin but also helps in removing the excess oil from the face so that it stays fresh looking all day. When I saw this online the description of it, it was everything I wanted in a face scrub so I thought of trying it. 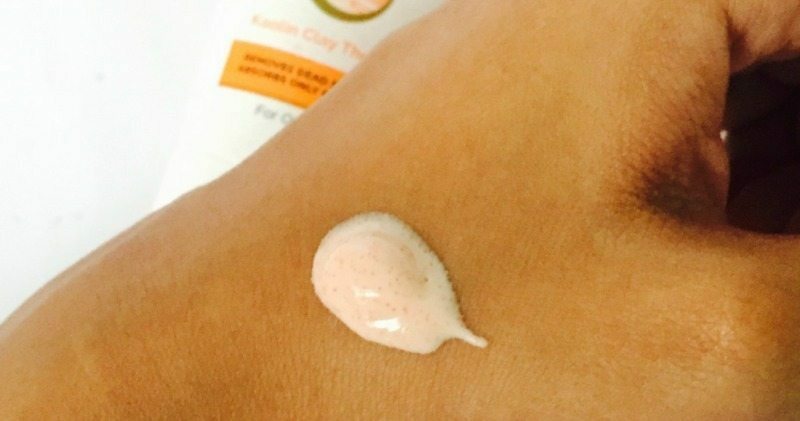 The face scrub comes in a white squeeze tube with a sturdy cap and it has all the ingredients and the description of the product mentioned on the back of it. The face scrub has a protective seal on it which I really liked about it. Coming to the texture of the scrub it smells exactly the oldie and the goodie Lacto calamine face lotion. 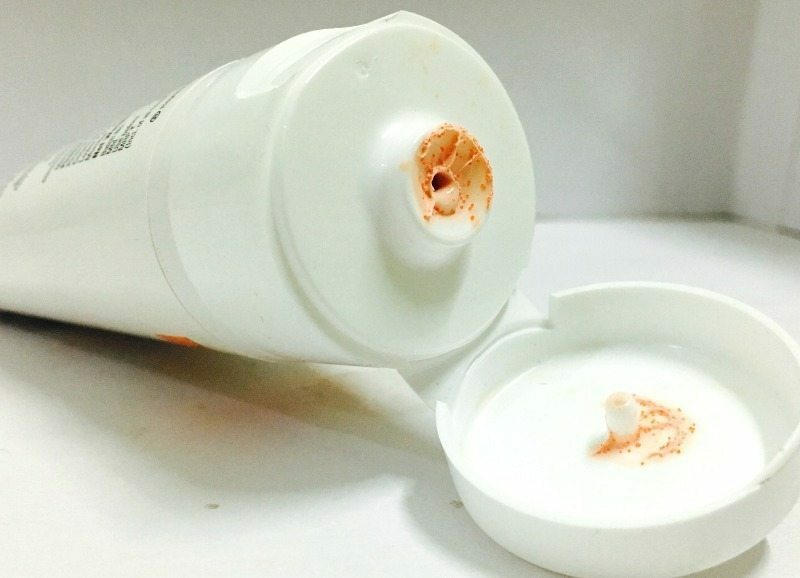 The smell goes away instantly when I wash the face. It is a thin cream like a scrub, oranges in color. The scrub is mild on the skin but it also helps in removing the excess oil from the face as well as in removing the dead skin cells. I use it at the end of every day as a part of mine daily skin care routine. It has really helped me with m oily t-zone. I can see the results within a week of using it. I think overall it is very good affordable face scrub for everyday use. I can’t think of anything so far. Yes, I will totally recommend it for those who are looking for a mild but yet effective face scrub. Everyday use?? is it that mild? Will try this one surely! Yes, it is mild enough to use every day. I love it and I always keep one in my bag.